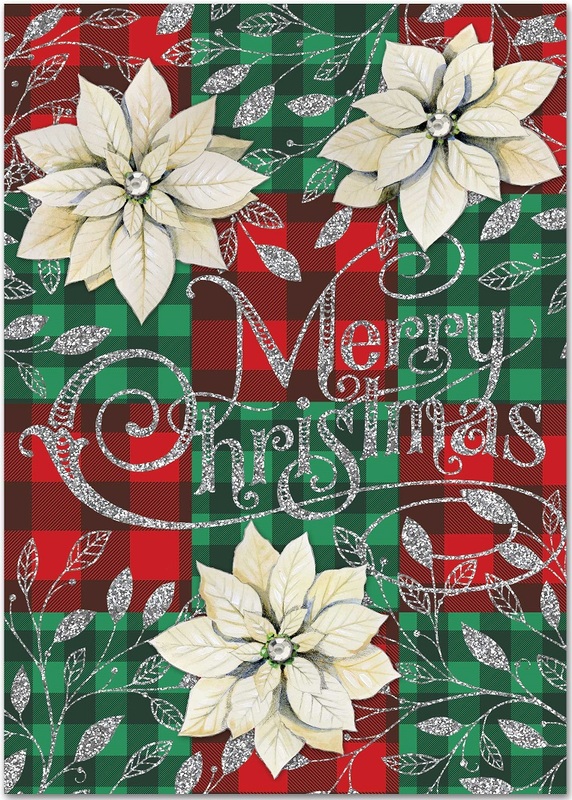 These cards feature the traditional Christmas color scheme of red and green, accompanied by white poinsettias and glittery silver! "Merry Christmas" swirls its way across the front of the cards, and gems add extra pizzazz. Inside is the message "may Your Holidays Sparkle and Shine"!